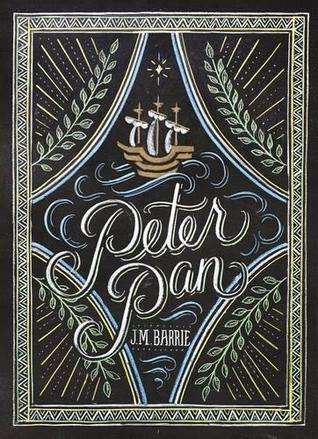 To be absolutely honest, I like Disney's Peter Pan more than the original story. It was more joyful, and I liked Peter better. In the book, Peter is pretty self-absorbed. And confused, I think. It was interesting to read about, but I got pretty irritated and/or concerned from time to time. He doesn't really care about anyone, really. He kills his lost boys when they grow up, he forgets Wendy and her brothers mid-air, he expects everyone to follow his lead without question and nobody is allowed to either have different opinions or know more about a topic than he knows. It was strange. I switched between absolutely no sympathy for him and a lot because he maybe just didn't understand. Tinkerbell is also harder in the book and tries to straight out kill Wendy. I think in general, the book was harder and darker, and that's not really my cup of tea, it seems. Apart from that it also had some problematic issues. It was extremely gender stereotyping, it was sexist and racist. The book was written a long time ago, so this is not really surprising, sadly, but it's still not right. Every time I read something that concerned me, in regards to Peter or the issues, I saved the quotes, and have now collected quite a lot of them. I'll leave you with a very small selection. "He always waited till the last moment, and you felt it was his cleverness that interested him and not the saving of human life." "Tink's reply rang out: "Peter wants you to shoot the Wendy." It was not in their nature to question when Peter ordered." "The difference between him [Peter] and the other boys at such a time was that they knew it was make-believe, while to him make-believe and true were exactly the same thing. This sometimes troubled them, as when they had to make-believe that they had had their dinners." "Wendy, of course, had stood by taking no part in the fight, though watching Peter with glistening eyes; but now that all was over she became prominent again. She praised them equally, and shuddered delightfully when Michael showed her the place where he had killed one." "They are forbidden by Peter to look in the least like him." "I am back," he [Peter] said hotly, "why do you not cheer?"